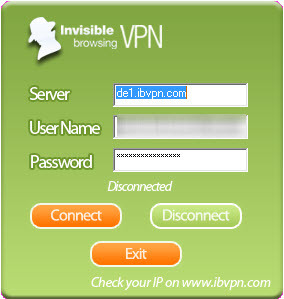 IbVPN has so far been an excellent service provider of VPN services. Many Internet users prefer to use this VPN service due to their exclusive features. However, this IbVPN service supports different protocols such as OpenVPN, L2TP and PPTP. The servers of IbVPN have been available in many countries such as USA, UK, Germany, Canada, Netherlands, Ireland, Switzerland, France and Luxembourg. However, you can see from any ibvpn review that this service is quite inexpensive and affordable compared to the other services available. IbVPN is relatively slower than any other VPN services available in the cyber work which has been found out through speed testing. However, its baseline connection speed is about 43Mbps as downloading speed and 1.50 Mbps as uploading speed. And this has been a significant slowdown while testing the speed. However, the baseline has been established in a PPTP test within the USA, and it has been found out that from a ibvpn review that the server speed was about 10Mbps which is slower than any other VPN services. Besides, the speed of uploading was also near the baseline which is about 1.30 Mbps. 1. Premium service that allows all servers, per month $7.95. 2. Premium service for USA and Canadian Servers, per month $4.95. 3. Premium service for EU, including FR, DE and NL servers, per month $4.95. 4. Premium service for IE and UK server, per month $4.95. 5. VPN service plan for Torrent service, per month $4.95. IbVPN service also offers an package account for business and families that allow maximum three connections which will cost for about $19.94 and another package account that will allow maximum five connections cost about $27.95. IbVPN also offers a special demo or trial service for customers who has never tried their services before. The customer will need to contact with one of the customers services of this company and ask for the demo service so that he or she can decide whether to sign up for the service or not. The customer can check out their connection speed and performance while surfing through the Internet. Moreover, this VPN service company has also offered some discount packages for users to give them some space to choose from the list. These discount offers are available for some specific packages that are fixed at $4.95 in each month and $9.95 for each three months and $36.96 for one year. IbVPN has offered a unique option for the users through which they can install a specific package from the official website. All the packages can be manually set up by the customer service provider. However, IbVPN’s official website contains all sorts of information that one might consult to decide whether any of the service is perfect for them or not. The users can easily get the technical information along with tutorials of setting up procedure of all the packages of this company’s VPN service. Though, one set back of this service company is that it does not have any access system available on its website for Linux or Macintosh operating system. If you are still confused and are unsure if you really want this service or not, consult with the ibvpnreviews to get a better idea and make your decision. Here is the list of Top 5 VPN Providers chart.